This will be OwnMuse’s first show on this scale (plus Sophie Sumner is walking for their show!!!!) and I can’t wait to chat with them LIVE on Google+ Hangout (here) right after their show on 21st October at 9:30pm! So make sure not to miss it!!! I’m also giving away one pair of VIP tickets to see OwnMuse show LIVE at the venue, go to my facebook page to stand a chance of winning it!!!! Meanwhile here’s a Q&A with the talented duo Johanna and Shu Juang so you get to know them better! 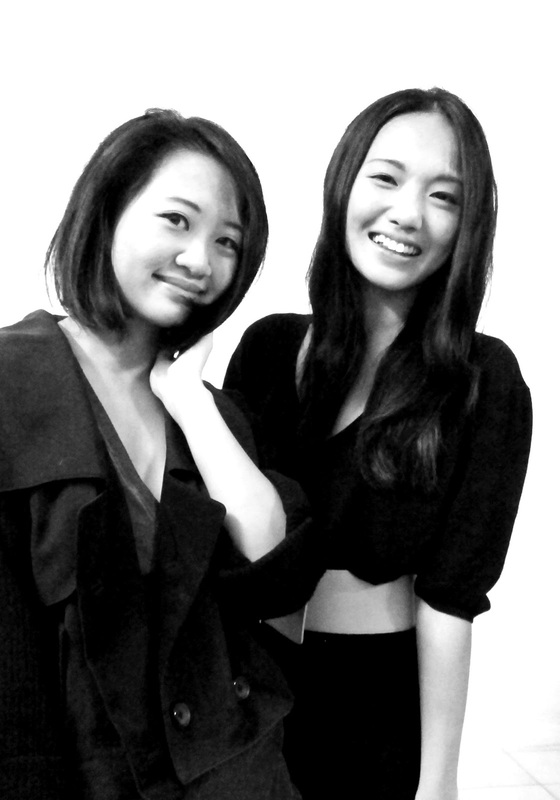 The lovely duo behind Ownmuse, Johanna and Shu Juang. Bonjour Singapore: Describe OwnMuse style in one sentence. Johanna and Shu Juang: OwnMuse all about clean cut, classic styles with a contemporary and edgy twist. We design for women that want to look modern and chic without too much fuss. Women who appreciate designs that are simple, contemporary and comfortable and who love exploring their sense of style. What’s the inspiration behind your latest collection? 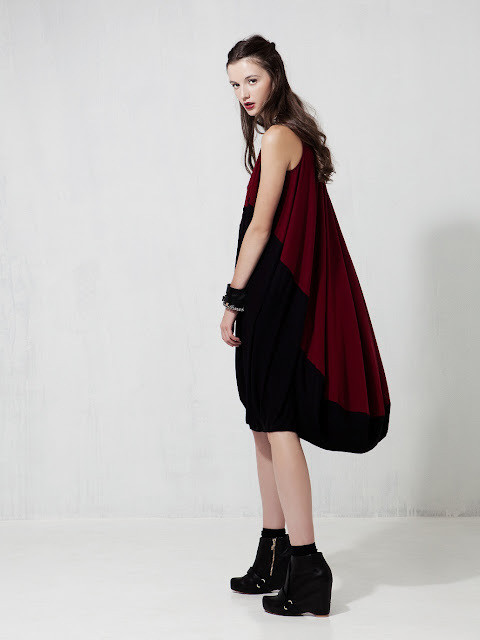 We wanted to create a collection that was a sort of slouchy chic. We wanted tops that were soft and light, yet somewhat structured. Pants that were loosely cut that still looked tailored. We kept our silhouettes simple and clean, playing with the element of colour blocking in different shapes to create subtle illusions such as a tee with a tank top blocked out. It was very much about creating clothes that were strong and graphic while still remaining feminine and soft. Is this your first ever fashion show? On the scale of 1 to 10, how nervous are you? How does it feel knowing that you’ll be showing at the same fashion week as one of the most established Singaporean designers (and your mentor? )Thomas Wee? We honestly feel really honored, and very thankful for the opportunity to show along side all of them, especially Thomas Wee whom we look up to a great deal, and Pauline.Ning, a really good friend of ours. We’re definitely looking forward to seeing all the S/S’13 collections that will be showing. What are the challenges that you face as emerging local designers? As local designers, we think we all mainly face the same challenge, which is the lack of fashion resources here in Singapore. We have many ideas, which we would love to carry out and materialize so it’s hard to at times because of that, but the challenge always makes it more fun doesn't it? 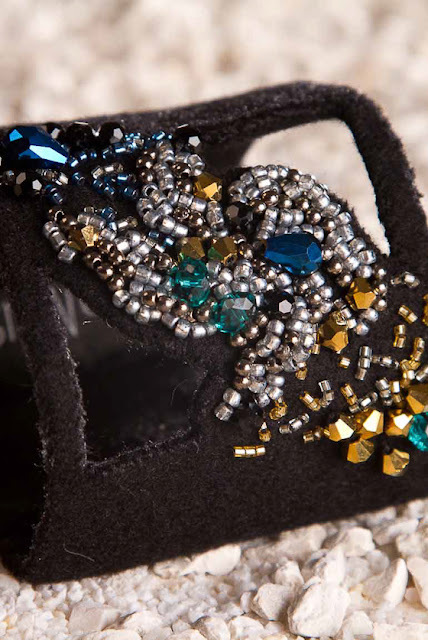 hand-beaded accessories which are available on their e-store! just after I moved to Singapore. So nice to see them got this far! Is there any designer in Singapore or Asia whom you look up to? We look up to Thomas Wee, for his unbelievable patterning skills and timeless pieces, and to Raoul, with their designs gracing the red carpet in Hollywood, and how their brand identity is so strong and recognizable. Where do you see yourself in 10 years? In Singapore? Do you think there is enough support for local designers like yourself in Singapore? The support is definitely growing, with more schemes and projects to help us have a good platform to learn and leap from, but of course, there could always be more! Support in trade, production and resources are what we feel are important. If you were to give Singaporean women one fashion advice, what would it be? Don’t be afraid to change your look every now and then!